The book is simple, easy to read, and Bauer’s advice feels very “do-able.” The list of ailments and diseases pretty much applies to the vast majority of people and most will walk away with some new-found knowledge. The book is large at 516 pages and is chocked full of vitamin and nutrient information on a huge variety of foods. While this may be obvious from the book title, we liked that Joy was not quick to point to supplements and instead list foods high in the desirable nutrient . 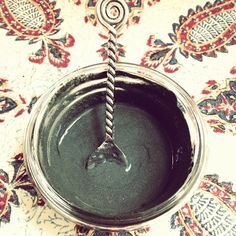 There are plenty of FAQ sidebars in the book that we found interesting and enjoyed reading, questions like: “I keep hearing about different herbal remedies for my arthritis. How do I know which ones are worth trying?” or “Can diary food cause acne breakouts?” Bauer’s “cures” are not quick-fix diets but rather advice for truly changing the way you eat. The book focuses on preparing food from scratch, eating lots of fresh veggies, nuts, fatty fish and fruit. If you read the book from cover-to-cover, parts may feel a bit redundant (e.g. benefits of spinach, nuts, mentioned in multiple chapters), but we don’t see this as a downside since most will probably stick to the sections that they are personally interested in. While we agree with the majority of the advice in the book, we were hoping for a more progressive view on the usual “bad guy” suspects: saturated fat & full-fat dairy, cholesterol, and fatty meats. We are not fans of soft tub spreads, fat-free/reduced calorie foods, and canola oil, all of which are listed in the majority of the chapter’s shopping lists. Also, there is not a ton of information on food additives in the book. 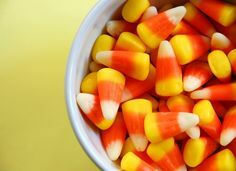 Bauer definitely advocates making food yourself to avoid unwanted ingredients, but with a few exceptions, doesn’t go into detail on why many food additives could be problematic for the body. With so many people turning to drugs to cure our common ailments, it’s great to see mainstream folks pointing to nutrition as a cure. If you suffer from one or more of the ailments listed above ( in the overview), take a look at Bauer’s reference manual. 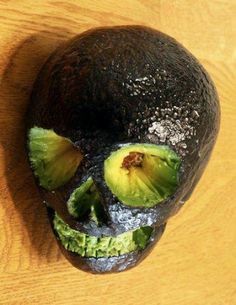 Even if you are are perfectly healthy, there is a ton of information on specific foods such a veggies, fruits, fish etc. that we can all benefit from. If you buy it, just make sure to read up on saturated fat and low-fat dairy as it is our belief that most of us require more full fats in our diet, not less. 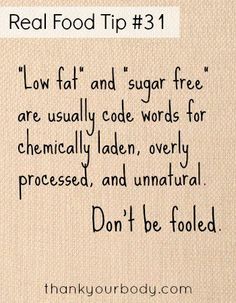 Also, read those labels and watch for mystery food additives! Bonus: at the time we wrote this review, Amazon had the book listed on sale at $13.00. Want to win a copy? 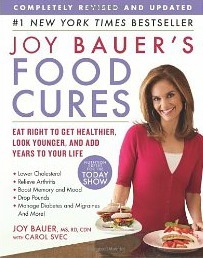 Click here for details on our giveaway of Joy Bauer’s Food Cures. Note: All images and highlighted product names link to Amazon. If you make a purchase through one of our product links, Be Food Smart receives a small commission that does not cost you anything. Need to buy something from Amazon? Use one of our links and anything you buy during that shopping trip will help benefit Be Food Smart. Disclaimer: Be Food Smart was sent two complimentary copies of this book and was not compensated in any way for this product review.